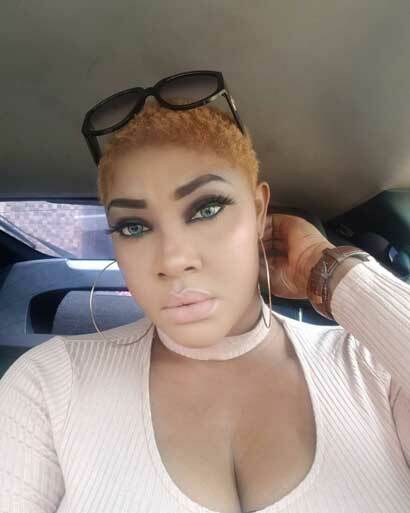 Nigerian Nollywood actress, Angela Okorie has decided to change her looks from what everyone is familiar with. 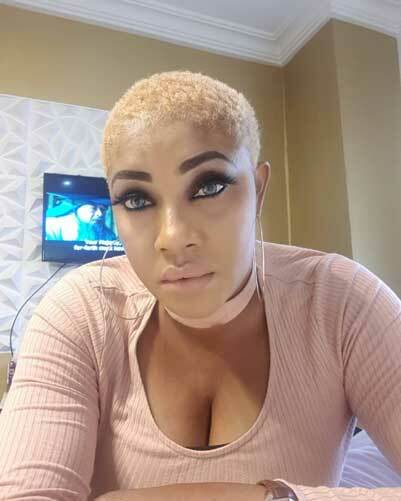 The actress has just cut her hair low and decides to bleach the hair blonde to further add swag to her style. 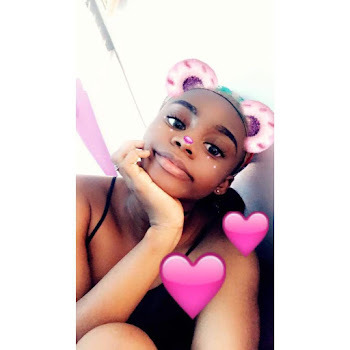 In Nigeria when a lady decides to hit the barbing saloon to cut down her hairs, it is believed that such a person is broke and cannot afford to take care of the hair anymore as it is known that the cost of maintaining hair is very expensive. Well in the case of the actress we cannot say for certain as she is considered one of the biggest actresses in Nollywood or could it be the money is drying up? Angela Okorie was accused of being in a romantic relationship with Yahya Jammeh president of Gambia who always showered her with lots of money and gifts. She recently shared a photo of her jetting out in an aircraft without sharing the location and a fan was quick to point out that she was only going to see Yahya Jammeh, she blew hot on this and fired back saying she is going to see the poster’s father.